Chambrair PROF 100 | Chambrair Grand-Duché S.à.r.l. Special moments of pleasure – these are assured with a good red wine, white wine, sparkling wine or champagne. Provided that the temperature is correct. Different types of wine require different tem­peratures. 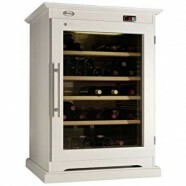 White wines should for example be stored at 8 to 10 degrees Celsius so that they can re­veal their optimum flavour. 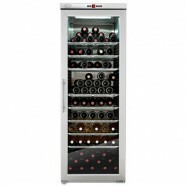 Red wines require higher temperatures and should be stored at 16 to 18 degrees Celsius. Sparkling wines and champagne should rather be stored cool below 6 degrees Cel­sius so as not to lose any of their sparkling freshness. 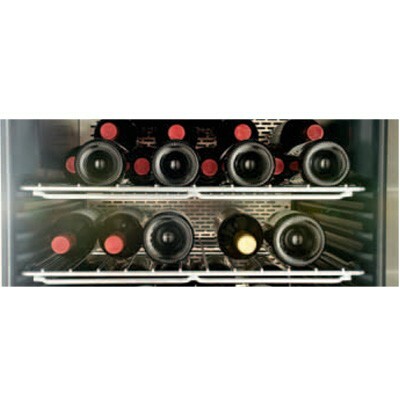 With our professional Chambrair climate controlled wine cabinets you ensure optimum temperature control of your wine and sparkling wine bottles and enjoy taste experiences as can only be obtained by professional long-term storage in a natural wine cellar. 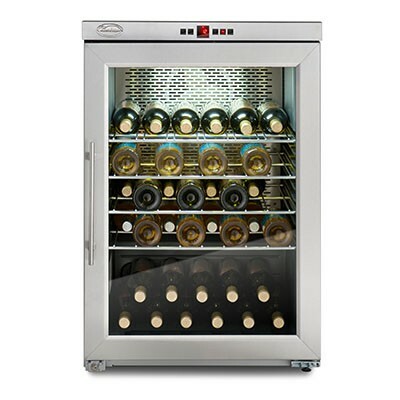 Chambrair PROF 100 – the successful entry into professional wine storage. Whether wood panelling, stainless steel design or with a personally selected RAL colour design – the Chambrair PROF 100 cabinet gives you much more than an ideal storage area for your valuable wines. The visual appearance of the PROF 100 is also very decorative and gives rooms a special char­ac­ter. 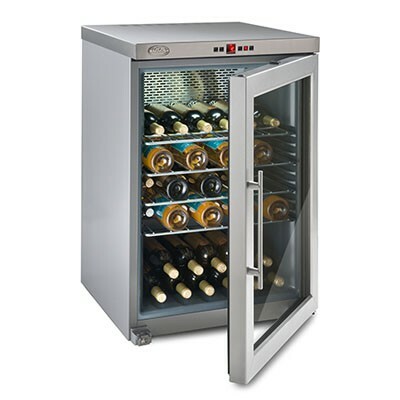 Due to the effective WhisperNoise® technology for maximum smooth running the Chambrair PROF 100 climate controlled wine cabinet can also be installed in rooms in which it is very quiet.